When you think of Kentucky spirits, you probably think of bourbon, and for an understandable reason. Around 95% of the world’s bourbon hails from the Bluegrass State, meaning this association is unlikely to fade anytime soon. However, one Louisville-based distillery is working hard to cast the region as home to more than just grain spirit. Copper & Kings is making a name for itself with premium brandies, craft gins, absinthe and a slew of lesser-known liquors. Just about everything aside from bourbon, really. All of a sudden, Kentucky has other horses in the hooch race. 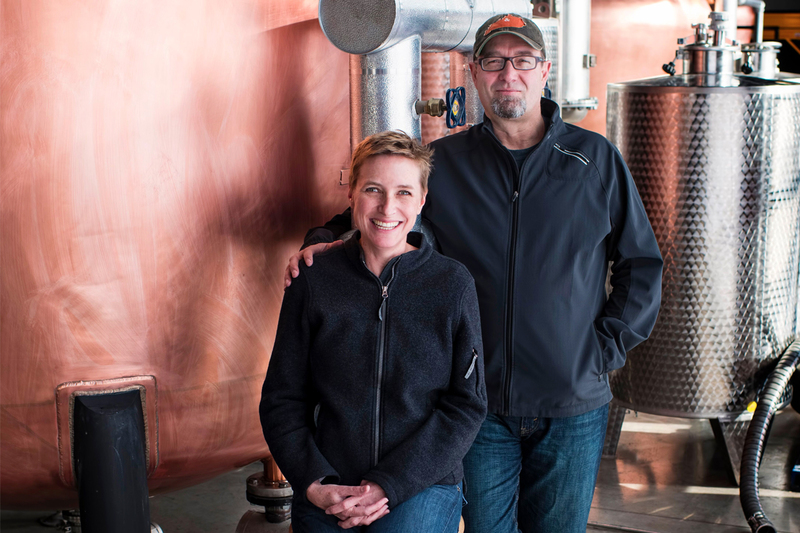 “Brandy is America’s original spirit,” explains Joe Heron, who started the company with his wife Lesley in 2014. “The first documented brandy [was made] on Staten Island in the New Netherlands colony in 1640.” But re-popularizing the category of American brandy was more than an historical imperative. Heron was equally intrigued by the prospect of producing a liquor with less restrictions. A slew of rules and constrictions dictates bourbon making. But American brandy is open to experimentation. “For me the story of American brandy is the story of brandy liberated, unshackled from the dogma of grape varietal and geographic provincialism,” he claims. In describing his excitement, he cites a continental diversity and the ability to source all sorts of fruits for production. Rather than a domestic take on cognac or calvados, he’s distilling liquid that offers up a distinctive terroir, far more influenced by oak than its Old World counterparts. Butchertown—the brand’s high-proof flagship—absorbs flavor from ex-bourbon barrels, bringing caramel notes into a luxurious, lengthy finish. 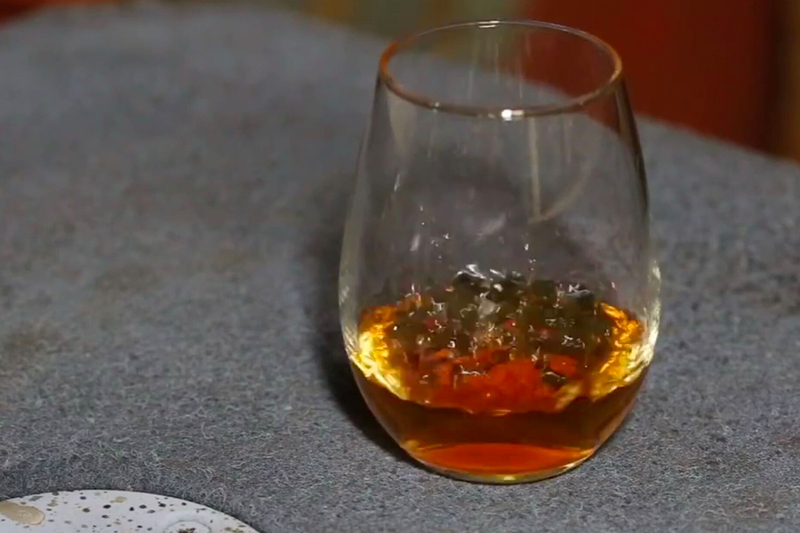 “Copper & Kings is stylistically between brandy and American whiskey,” he says. “We use the techniques of very old school distillation—copper pot-stills, non-chill filtration—but layer on our own unique perspective of bourbon barrel maturation.” He considers the final product a “straight brandy”, aging up to a quarter of the liquid in virgin oak with no sugar or coloring added. Further, the first commercial winery in the US was founded in Kentucky. So perhaps setting up shop here in the heart of American whiskey country is not as peculiar as it seems on its face. Despite the rapid success it enjoyed by developing a new category, Copper & Kings was eager to explore more. Craft gin is a dense arena these days, but the distillery discovered a fun and fruity way to separate itself from the pack. 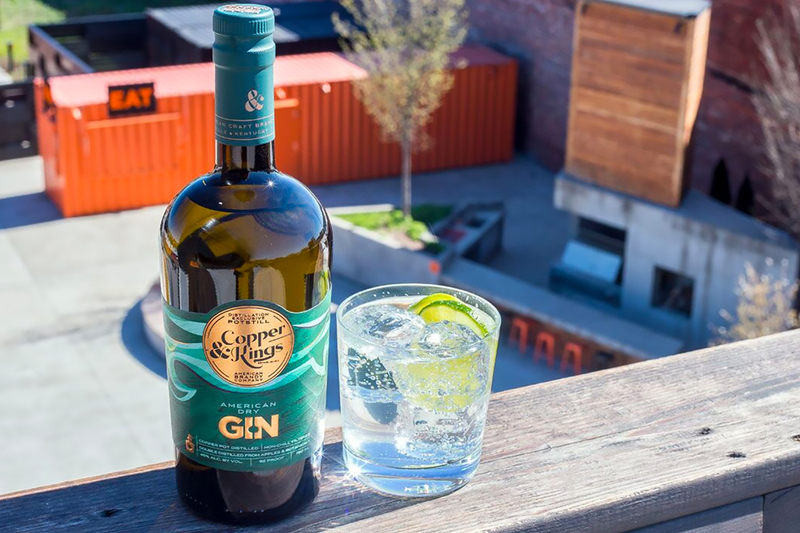 The brand’s American Dry Gin is double-distilled from apples; the Old Tom comes from a grape distillate; and 1495 Guelders—inspired by a 15th Century recipe—is produced partially from craft beer. Since expectations for Kentucky gin don’t exist, the sky’s the limit. “We make gins using our brandy technique,” explains Heron. “It’s a double-distilled fruit base, non-chill filtration, no adulteration, and its gorgeous. Pretty much the first new gin ‘style’ in many, many years.” Virtually all contemporary gins utilize a grain spirit base. In most endeavors, the Herons and their crew aim to mine unconventional flavors by unconventional means. 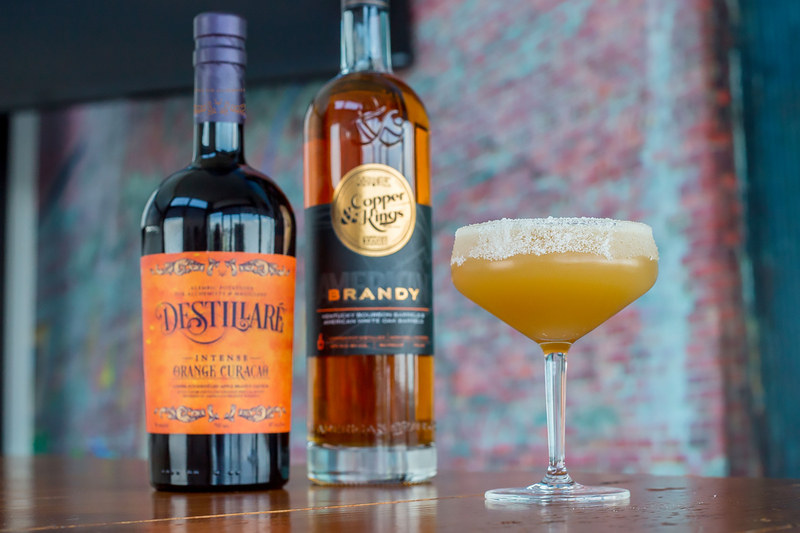 The Destillaré series features an Orange Curaçao (built around an apple brandy liqueur), and a fortified grape infusion known as Mistelle. In the months ahead, look for Copper & Kings to work with new cask permutations, including a “zebra” barrel, constructed out of two alternating types of staves. Heron also reveals that sherry, tequila and a cornucopia of ex-wine oak are all currently in use in the warehouse. Copper & Kings and the people who make it are prone to musical analogies. It’s no coincidence: the brand famously employs “sonic aging”, wherein beats are piped into the barrelhouse in an attempt to amplify the interaction between liquid and wood. You can even listen to the live playlist on Spotify.